A 8 mm. urethral sound designed for those who like more intense play. 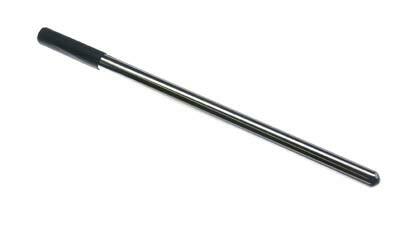 This unipolar electrode has been designed and manufactured to E-Stim Systems usual high standards with highly polished medical grade stainless steel and an insulated handle. As with all insertable electrodes, please ensure you clean thoroughly before and after use. Ensure they are totally dry before storage. Fitted with a single 4 mm. socket. Suitable for connection to any of our E-Stim control boxes. As these are unipolar electrodes you will need to use then in conjunction with another electrode.